North American Truck & Trailer has 14 stores in four states. Its mission is to provide its customers with impeccable parts, sales and service of the highest quality. The company’s commitment to quality, personal service, and value has earned it the reputation as a leader in the truck industry. When Jake Hofer became the IT Director at North American Truck & Trailer (NATT), he knew the company needed to make some changes, especially in the area of printing. “It was in disarray from poor management on our end. We were purchasing toner for some devices, but not others. Same thing when it came to service. There was no good rhyme or reason. We had multiple vendors and multiple printing pools that were costing much more than they should,” said Hofer. One of those vendors was Marco. Hofer’s Marco Sales Manager initiated a meeting to discuss a more efficient way to manage printing throughout all of NATT’s 14 stores, which were spread throughout four states. At their meeting, Hofer outlined his corporate goals: to do more with less time and resources. By implementing Marco’s Managed Print in all of its stores, Hofer has experienced a number of benefits. The first was a significant cost savings using a single printing contract for the entire organization. “Before, we had two separate printing pools. We were paying for overage charges for pages that were used on one printer and, right next to it, we’d have a device on a separate pool, where we were throwing away pages on a monthly basis. Now we have one larger, consolidated pool that allows for cost saving on a recurring basis,” explained Hofer. Besides saving money, Hofer said consolidating several billing accounts also saves him and his staff the time of processing multiple invoices. Another benefit Hofer appreciates is a unified service structure. 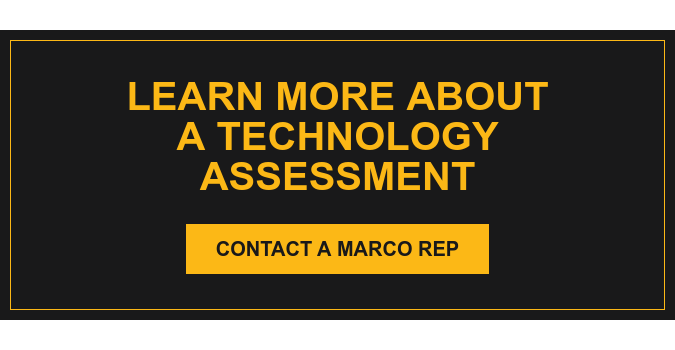 Before implementing Marco’s Managed Print, he said servicing his equipment varied from location to location, with no consistency to the process. “Because we’re spread across four states, finding a partner who could service all of my locations wasn’t the easiest job. With Marco, we have a unified number to call with a serial number that’s right on our asset identification and we’re going to get the same service regardless. The same work flow, the same resolution, the same ETA. And I know that if my toner is getting low, Marco is automatically being notified and that they’re automatically shipping a new toner cartridge to my location directly to the predefined contact,” he said. Speaking of service, Hofer says his experience with Marco can be summed up with one word: stellar. He believes the real test of service isn’t when things are going smoothly, but when issues arise. “I don’t judge a partnership exclusively on its success. I also have to judge it on its failure and how the issues are handled. Because something is going to go wrong. Nothing is going to be perfect. Marco’s sales, service and management teams all care about customer service and doing what is right by the customer,” said Hofer. Hofer’s so pleased with the strategic partnership he’s created with Marco, he recently expanded his page count by 5 times. “Marco has proven through their continued community involvement and culture that they’re a great business partner. I have that unified footprint, that single point of contact, that single billing aspect as well as the relationship that I’ve formed with Marco. I know I’m taken care of at all my stores with the same service level expectations,” he added.